Salvia is a popular landscaping and garden plant in the same family as mint and sage. 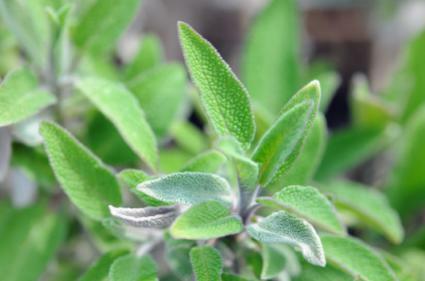 There are over 900 species of salvia and its uses range from culinary (used in seasoning meat), to medicinal, to recreational (Salvia divinorum is a powerful hallucinogen). Many species are ornamental plants with attractive blooms. Salvia plants can be propagated in a number of ways. Ornamental salvia can be grown from seeds. Salvia can also be grown from cuttings. You can plant the seeds directly into your garden in the springtime or use indoor planters to germinate the seeds and then transplant the seedlings later. The plants can also be grown entirely indoors with an adequate size planter and plenty of sunlight. The seeds should be planted in a good quality potting soil, lightly covered, two to three millimeters deep. Keep the soil moist, being careful not to over saturate. The small, lightweight seeds are just under the surface and over watering can easily wash them away. Make sure the seeds have adequate lighting without too much exposure to direct sunlight. The seeds should begin to sprout in 10 to 14 days. Once the seedlings reach a height of two to three inches, they will be strong enough to transplant. Many growers prefer starting new salvia plants from cuttings. The stem for the cutting should be cut just below the node or where the branch sprouts from the trunk. This helps the plant root because the nodes contain auxins, naturally occurring growth hormones which induce root or leaf growth. Trim all but a couple of leaves near the top of the stem. This should encourage root growth instead of foliage growth. Place each cutting in a glass of water and place the glass near a sunny window. Roots should start to appear in about 14 days. Once the roots have reached a length of one to two cm, you can transplant the cuttings into containers with good quality potting soil. Allow the cuttings at least two to three weeks to develop a solid root system before attempting to transplant them outdoors. Salvia seedlings should be transplanted outdoors in the springtime, well after the last frost. Choose an area that has a combination of direct sunlight and shade. For the best results and the healthiest plants, treat the soil with manure, compost or a high-quality potting soil. Tilling this matter into the soil helps loosen and aerate the soil, which also helps with drainage. Plant each seedling between 12 and 16 inches apart. Make the hole for each plant larger than the plant's root ball. Carefully place the root ball into the hole and carefully fill in the hole with soil, gently pressing the soil around the plant. Keep the soil moist but not too wet. Good drainage is important. Salvia is tolerant to drought conditions, however, it does not thrive in excess humidity. What makes salvia such an attractive plant to most gardeners is how easy it is to care for. However, many growers make the mistake of overwatering and over fertilizing. 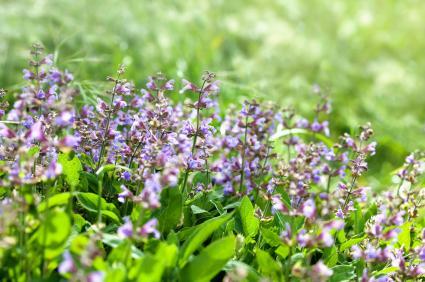 Salvia should be watered sparingly and only needs to be fed about once a month in the spring and summer. Excess fertilization causes the plant to grow too tall with an abundance of leaves instead of flowers. You can remedy this by cutting the plant back to one half of its current height. This encourages the plant to go back into bloom in less than a month.